2. In the Employees’ State Insurance (Central) Rules, 1950, in rule 50, for the words “fifteen thousand rupees” occurring at both the places, the words ‘twenty one thousand rupees” shall be substituted. Retirement fund body EPFO today decided to lower the interest on EPF deposits for the current fiscal to 8.65 per cent, from 8.8 provided in 2015-16, for its over four crore subscribers. 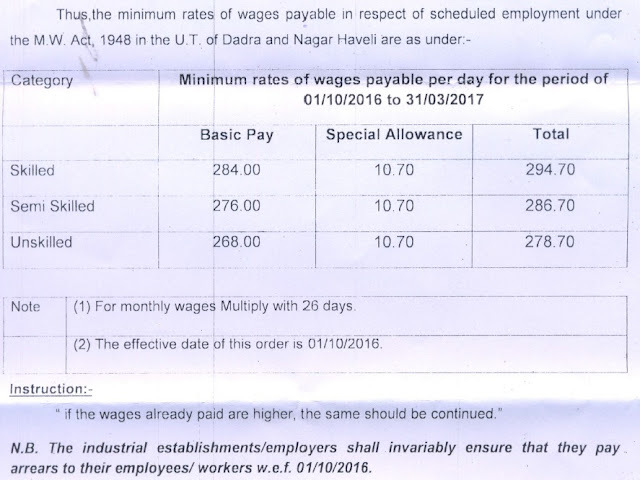 "The Employees Provident Fund Organisation's apex decision making body, the Central Board of Trustees (CBT), has taken a decision to lower the interest rate to 8.65 per cent for the current fiscal from 8.8 in 2015-16," Indian National Trade Union Congress Vice-President Ashok Singh told PTI after the meeting at Bengaluru. Bharatiya Mazdoor Sangh General Secretary Virjesh Upadhyay also said that 8.65 per cent rate of interest is fixed on EPF deposits for 2016-17. As per the EPFO income projections, retaining 8.8 per cent rate of interest for the current fiscal would have left a deficit of Rs 383 crore. However, the body could have utilised about Rs 409 crore surplus with it, which accrued after providing 8.8 per cent rate of interest for 2015-16, to retain the same rate of return for the current fiscal. A surplus of about Rs 69.34 crore was stipulated if interest rate was to be lowered to 8.7 per cent. EPFO has projected income of Rs 39,084 crore for the current fiscal. As per sources, the Finance Ministry has been asking the Labour Ministry to align the EPF interest rate with other small saving schemes of the government like Public Provident Fund (PPF).